Thanks for helping us raise year-end funds to install solar and storage! Thank you for your amazing support. 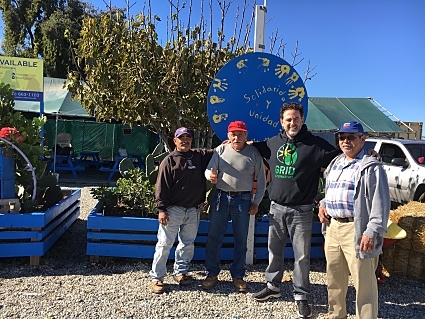 Through the donations of more than sixty individuals, our team and IDEPSCA (Instituto de Educación Popular del Sur de California) have met our year-end goal! Donors from across Los Angeles (and beyond) helped us raise more than $11,000 for solar and storage that will directly replace dirty fuels. Installing a GRID system will allow IDEPSCA to retire their power generator. Currently, it's on for eight or more a day to keep the lights on in their Harbor City Community Job Center. The off-grid structure, in Wilmington, helps more than a hundred individuals annually as they seek safe employment. Solar represents a huge opportunity for this community, which is heavily comprised of immigrants. Your generous gifts will help working people across the South Bay and Harbor areas! Stay tuned for more about the project in 2019. Wilmington's workers will enjoy immediate air quality improvements thanks to you! Donate to GRID Alternatives and support our efforts to partner with organizations in environmentally-disadvantaged communities.